I am beyond grateful to have been invited to my first ever fashion show. 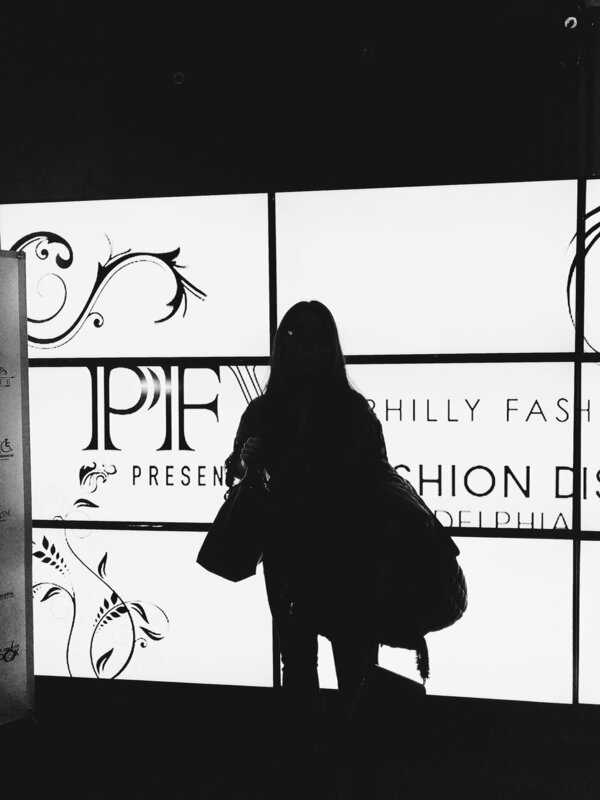 As a Philadelphian native, I am always looking for fun, fashion-related events to go to, and PFW 2018 definitely didn't disappoint! Sadly, I was only able to go for one day thanks to my midterms. However, all the designers I got to see on the runway had such beautiful concepts and I got my first look at all the trends for the season! Below are some photos of the outfit I wore that day! Dressing for a fashion show is a bit different from what you would wear every day. I wanted to experiment a little with a floral, velvet bodysuit that I got from my favorite boutique, Piper, and pair it with my trusted pair of black, ripped jeans. To add a pop of color to my outfit, I threw in a red bag with a faux fur strap that I got from Bloomingdales. The best thing about dressing for a fashion show? Literally, no one will care what patterns and colors you try to mix and match. All you really have to do is just rock your look like there is no tomorrow! My two favorite designers at the show had to be Briana Eliza Atelier and Victoria Wright! I loved Briana Eliza Atelier's couture, evening designs, and Victoria Wright's take on minimalism with business casual.